The Royal Opera brings to life one of opera’s greatest tragedies bursting with passion, drama and world famous melodies on Thursday 4 February at 6.45pm with a live performance of Verdi’s masterpiece La traviata. 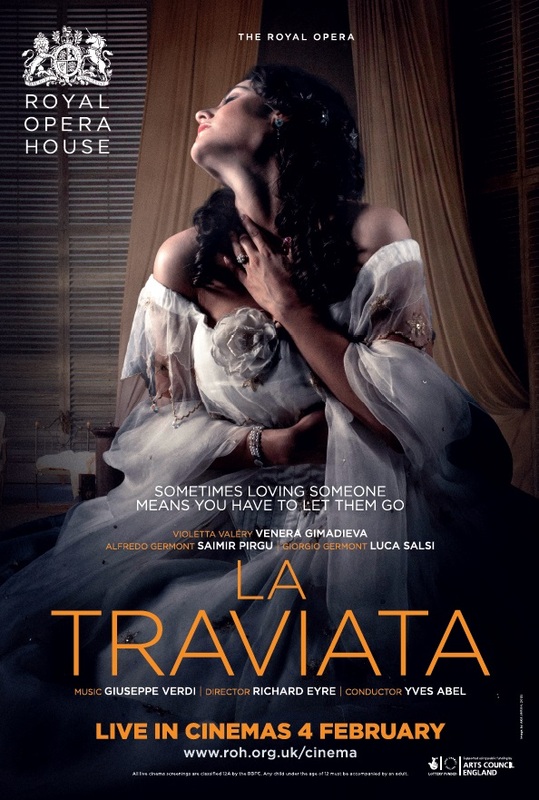 Perfect for first time opera goers, La Traviata – described by the Daily Express as “a shining example of opera at its best” – is sure not to leave a dry eye in the house. The sumptuous production opens in the indulgent social whirl of 19th century Paris. Violetta, a beautiful courtesan, leads a life of glamour but darker undercurrents emerge after she meets the love of her life and the young couple are forced apart by society. Verdi’s sensational score ranges from the jubilant with the world famous Brindisi, the ‘toast’ of the party, to the heart breaking “Parigi, o cara” in which the lovers poignantly imagine a life that will never be theirs. Traditional staging with stunning grand costumes and set in gloriously opulent ballrooms, La traviata will be conducted by Yves Abel and performed by an all-star cast including Venera Gimadieva and Samir Pirgu as the doomed lovers.